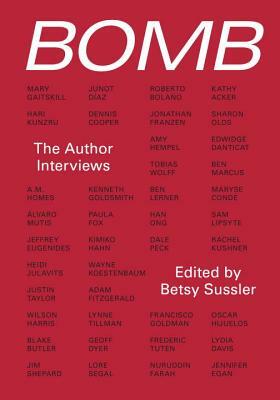 Drawing on 30 years of BOMB Magazine, this anthology of interviews brings together some of the greatest figures of world literature for a brilliant and unforgettable collection of sharp, insightful and intimate author conversations. Here we have a conversation with Jonathan Franzen, still an unknown author, on the eve of the publication of The Corrections; and one with Roberto Bolano, near the end of his life. Lydia Davis and Francine Prose break down the intricacies of Davis's methods; Edwidge Danticat and Junot Diaz discuss the power of Caribbean diasporic fiction. This anthology brings together some of the greatest figures of world literature for a brilliant and unforgettable collection of sharp, insightful and intimate author conversations. BOMB Magazine, a breakout publication born of the early '80s New York's downtown art scene, offers intimate and outspoken artist-to-artist conversations. For 32 years, BOMB has kept an eager readership informed of and engaged with the most important innovators in art, literature, music, theater, and film. BOMB offers a quarterly magazine and website with a searchable online archive of over 1,200 interviews, 800 essays, podcasts, videos and daily blog posts.